Cover crops are incredibly important to maintaining soil health. A cover crop is grown by farmers primarily to benefit the soil. 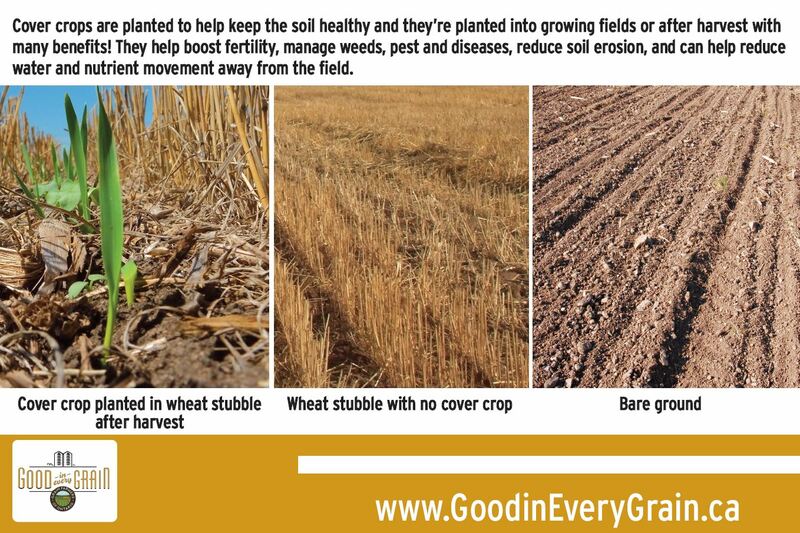 Cover crops help soil by preventing soil erosion, suppressing weeds, improving soil fertility and quality. Winter wheat and oats have dual purposes as they can be used as a cover crop as well as a commercial grain that will be sold once harvested. Other crops include red clover, sunflowers, radishes, alfalfa, and rye. #YourFarmers will often plant their cover crops into a field that will already have a crop growing or, when that field may have bare soil like going into winter. This crop will grow alongside the existing grain until harvest where it will be sprayed or tilled under. The cover crop that is grown overwinter will either be sprayed or tilled in the spring to prep that field for spring planting or if it is winter wheat, the field will grow until maturity where it will be sold as commercial grain. Cover crops help to suppress pests and diseases. A farmer might plant a cover crop to break the cycle of pests in the soil. For example an insect that likes to grow in wheat, might not survive when red clover is grown. This breaks the insects life cycles and could potentially remove a generation of insects off the field without resorting to spraying an insecticide. 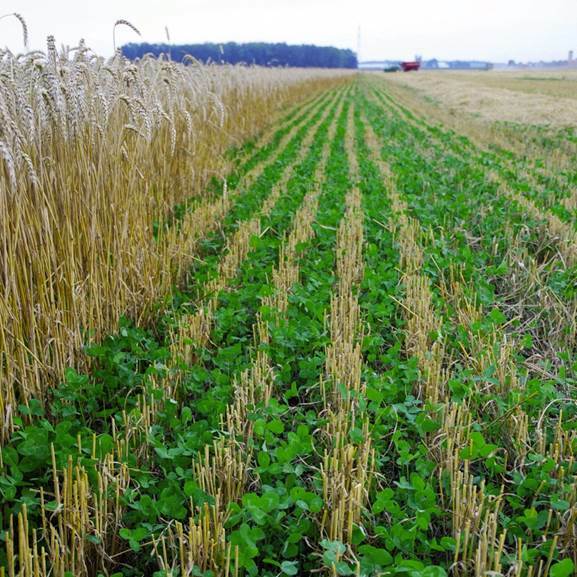 Farmers can use cover crops to improve soil nutrients. Leaving a cover crop on the field to decompose will increase nutrients in the soil. 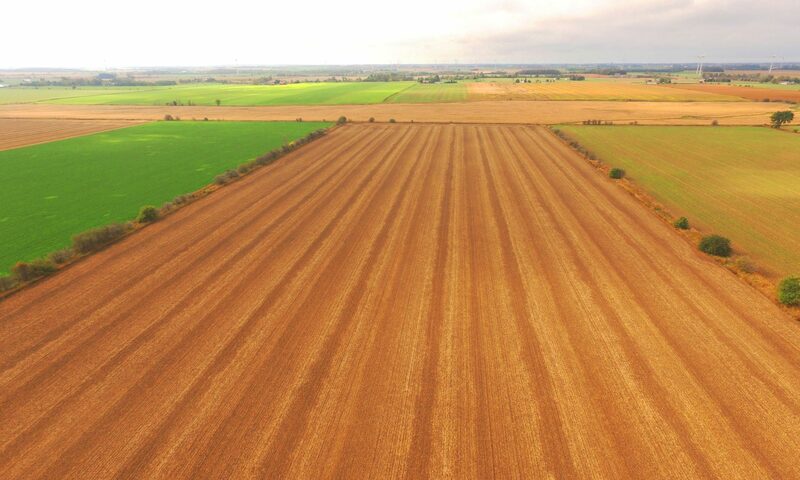 This can help improve soil quality for the next crop grown in that field, and reduce the amount of fertilizers farmers will purchase and apply. Cover crops also play a part in helping lakes and rivers. Cover crops help reduce the amount of water that drains off a field when it rains, especially between seasons when the field might otherwise be empty. The roots of these crops create pores in the soil, so water drains deep into the ground. This protects streams and waterways that eventually drain into Ontario’s lakes. Organic matter, fertilizer and top soil are able to remain in the field longer, thanks to the cover crops planted. As you can see from the above pictures, Good in Every Grain put cover crops to the test. 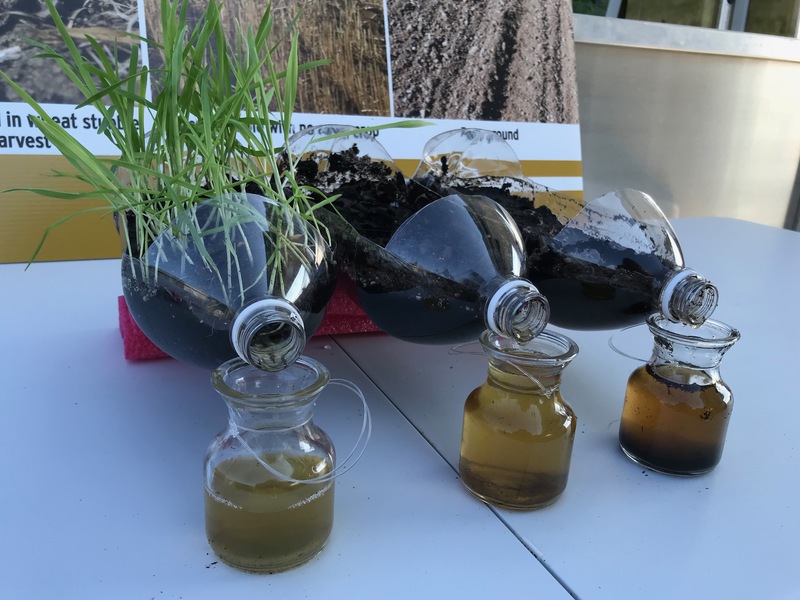 We had three field situations that were used in this demonstration: oats planted as a cover crop, some organic matter left in the field and lastly a bare soil. When pouring water into the containers, we noticed some very obvious differences in the water that drained off of the “field” and the conditions of that water. 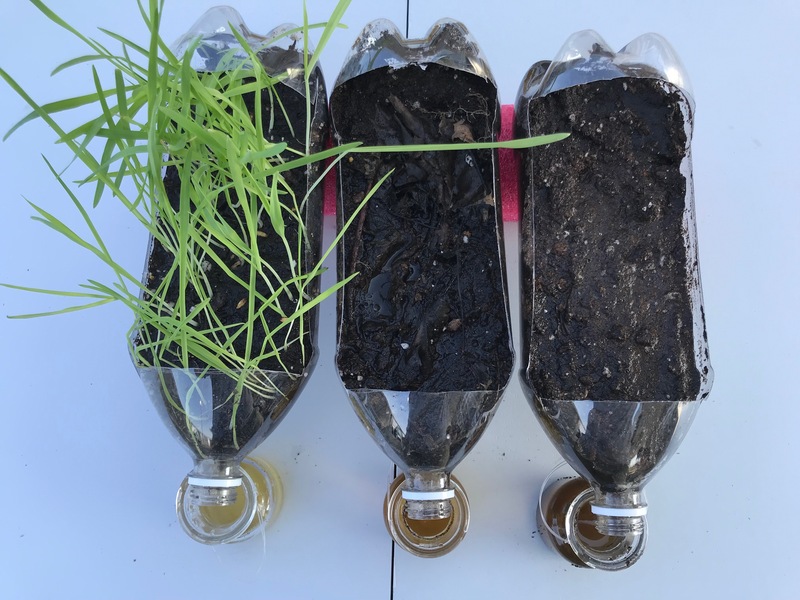 Bare soil, and the field with more organic matter had more muddy waters with more soil particles that drained out of the container. There was significantly less soil movement through the water that was drained off the “field” of an oat cover crop. The cover crop roots were able to keep the soil and more water in place, as written above. 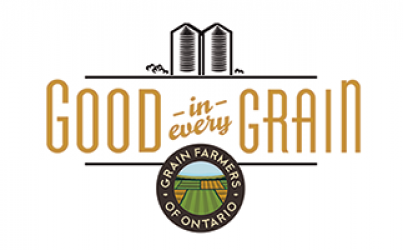 Grow Ontario Together: Meet #YourFarmers protecting our soils, waters, and surrounding environments.